Nusa Lembongan is a beautiful tropical island located around 30 minutes by boat from the Sanur Harbour on the east coast of Bali. 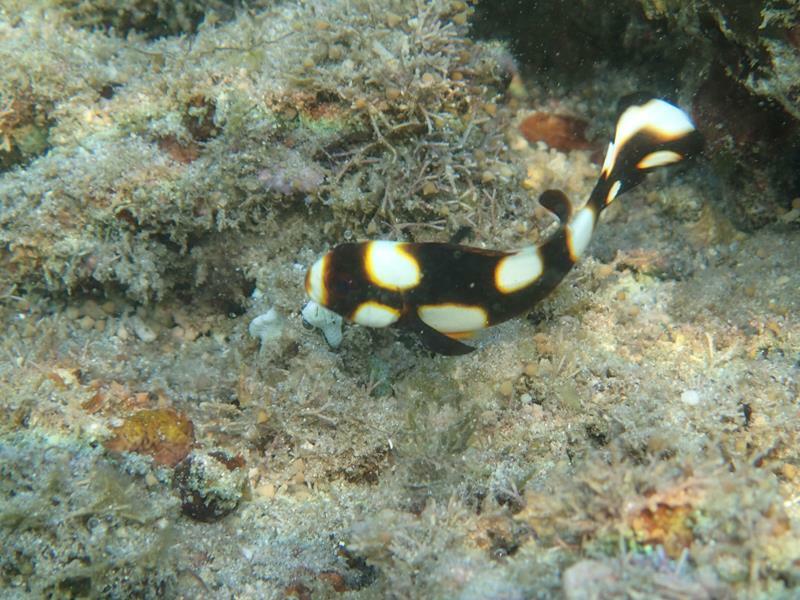 There are 3 good scuba dive site around Nusa Lembongan, and many more on the neighbouring Nusa Penida. Lembongan Bay - is located directly infront of the harbour where the fast boats come into Nusa Lembongan. Lembongan Bay is where most of the dive centres take people to complete their Open Water dive courses. The maximum depth here is around 15 - 18 meters depending on the tide. 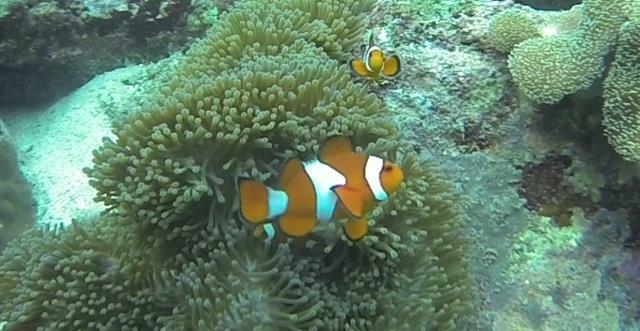 There is a fair bit of coral around Lembongan Bay and lots of fish to see. 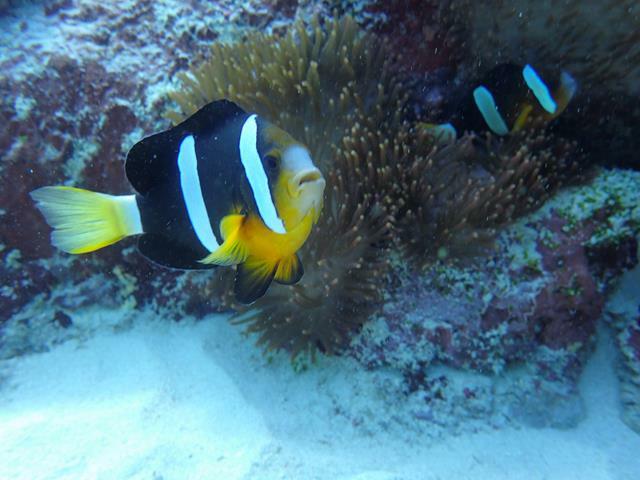 There are plenty of Clarke's Anenome Fish, Box fish, shrimp and Lion Fish. Blue Corner - located on the north eastern corner of Nusa Lembongan, just around from Mangrove Point. Blue Corner also experiences strong currents and can get very choppy with conditions changing quickly. This is not for beginner divers. 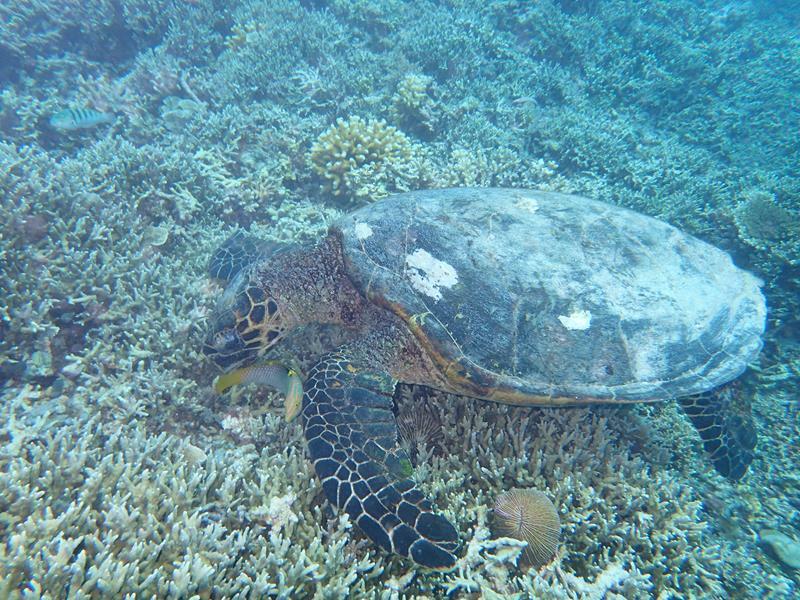 The best time to dive at Blue Corner is in the middle of the lunar cycle between the full moon and the new moon. Other times Blue Corner can be like a washing machine with the current coming in from the top of the island and in from Lembongan Bay and swirl around making it unsafe to dive. 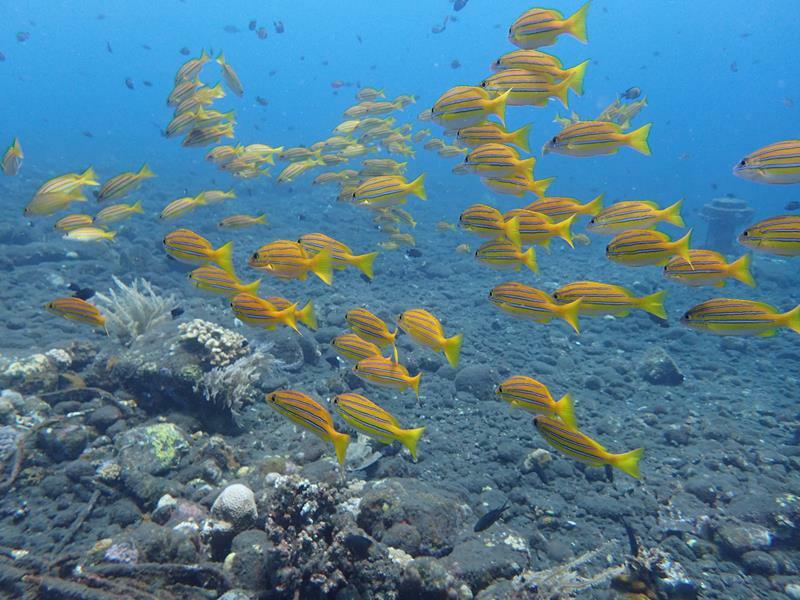 Nusa Lembongan is becoming popular with scuba divers and surfers. There are plenty of accommodation on Nusa Lembongan so easy to stay there and get to the dive spots around Nusa Lembongan. Check out a full list of hotels on Nusa Lembongan. 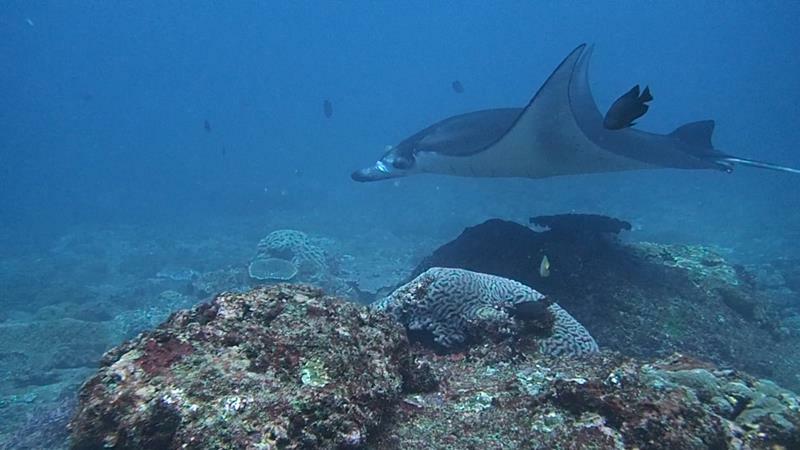 Nusa Penida is the larger island just next to Nusa Lembongan which also has some great dive spots for seeing the Manta Rays and the large Mola Mola fish. 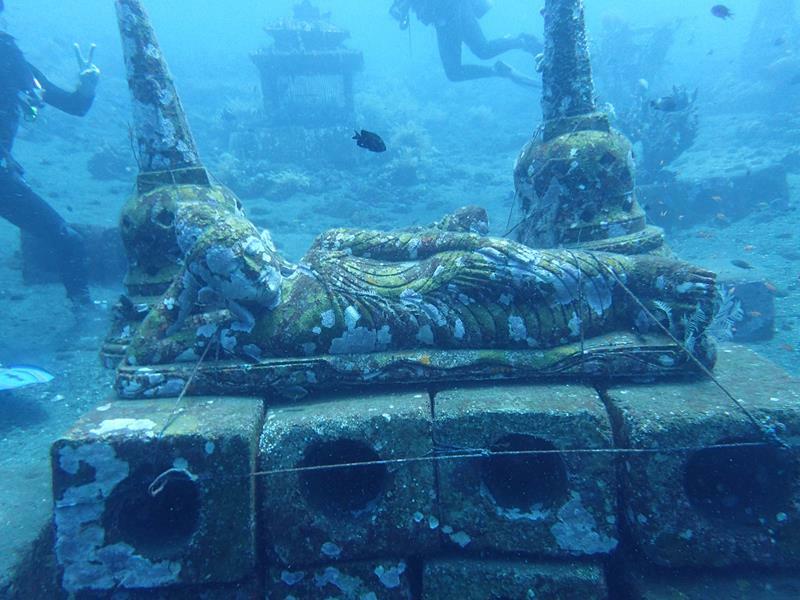 Check out the scuba dive spots in Nusa Penida.